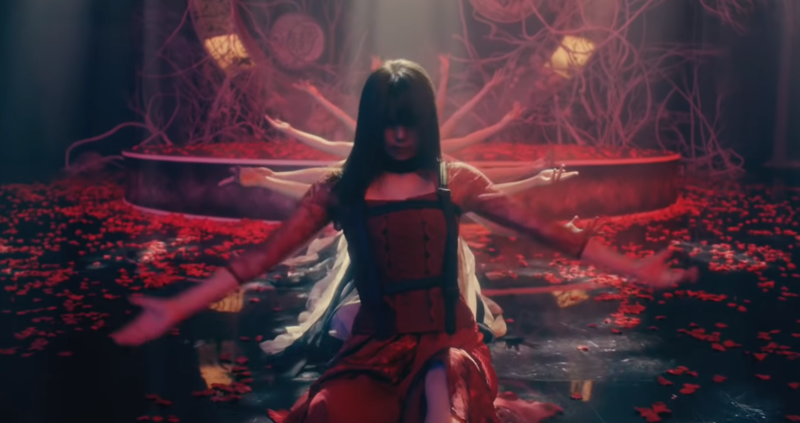 With “Kurenai No Dress“, FLOWER released another absolutely beautiful music video that’s supplemented by more outstanding choreography, continuing what has basically become tradition for the group. While we don’t get a chance to hear the entire song, what we do get is great. The vocal performance is perfect for the atmosphere, which is created by an instrumental that manages to stand out despite the rather somber mood of “Kurenai No Dress”. It manages to leave an impact through the percussion, but is dominated by grace of the traditional sounds. But while that’s all and good, it’s even better combined with the choreography and the visuals of the music video. FLOWER definitely aren’t the most attention-getting group in a bombastic way, but their artistic flair that’s rooted primarily in their dance makes them standout from the crowd nevertheless.